You can add to your savings as and when you like, up to a maximum balance of £1,000,000. You can add to your ISA, subject to HM Revenue & Customs (HMRC) limits and the terms and conditions of your account. You cannot add to bonds, but you can open additional bonds (subject to availability). 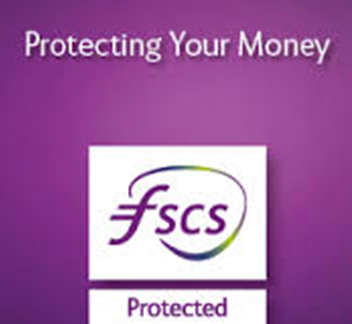 Money can be paid in at a branch or by electronic payment (including Bacs and CHAPS), or transfer of funds from another UK Bank/Building Society (ISA products only). To pay money in at a branch, take your own passbook with you, and deposit (cash or cheque) into any one of our branches. We will record the transaction in your passbook and the balance will be updated. You can also pay money into an account via passbook if you have an appropriate power of attorney or court of protection responsibilities, or if you operate an account on behalf of someone who is under 18. If you are simply paying in money for someone you know, we will record the transaction on our banking system and give you a receipt, but we will not update the person’s passbook unless they are present. You can also transfer funds between all of your Kent Reliance accounts. Cash deposits will begin to earn interest from the day (working or non-working day) we receive them, until the day before withdrawal, closure or transfer. You can pay money into a postal account by electronic payment, internal transfer between Kent Reliance accounts, or transfer of funds from another UK Bank/Building Society (ISA products only). To pay money in by post, send a cheque (but not cash) made payable to one or more account holders to our Customer Services address: Kent Reliance, PO Box 601, Chatham, ME4 9DX. If you have online access, you can also pay money in by logging on and making a debit card payment or by internal request from another of your Kent Reliance postal/ online accounts. You will not be able to make an online transfer from a branch based account. Additional deposits can be made by logging on and making an electronic payment or debit card payment, making an internal transfer from another of your Kent Reliance postal/online accounts, or transfer of funds from another UK Bank or Building Society ISA products only. You can also make deposits and transfer funds from your existing passbook account into your online account in a branch. All you need to do this is take two forms of ID, your signed passbook and your online account number to your local branch. Cheques deposited at a branch on a working day will begin to earn interest the same day. Cheques deposited on a non working day will begin to earn interest the next working day. Cheques received after 12.00pm on a working day or on a non working day will begin to earn interest the next working day. You must allow six clear working days for clearance on all cheques paid in before a withdrawal can be made against them. If you deposit a cheque into your account, which is subsequently returned unpaid by the Bank or Building Society it’s drawn on, we will debit your account with the amount of the cheque. We will write to you and if applicable, request for your passbook to be amended. Debit card payments may take up to 3 working days to be available as cleared funds. Deposits made by debit card will begin to earn interest from the working day that we receive them until the day before withdrawal, closure or transfer. *Please note that these sort codes are for Kent Reliance, but Natwest is our clearing house.